Home / Fashion / Why is beard growth oil a must for people with patchy beard? Why is beard growth oil a must for people with patchy beard? Almost all kind of beard oils is formulated with ingredients that are known to boost hair growth. If you an individual who is preparing to grow a beard for the first time, you must be aware of the fact that not everyone is gifted with plentiful facial hair. In fact, some of them even struggle to maintain a proper beard hairline on the cheeks. The reason why you might struggle to grow the envied beard in the first place is that the hair lacks the necessary nutrition to feed upon. Hence, the foremost job for you would be to supply the required nutrition that your beard that the follicles would need to hasten the growth. And this is where a beard growth oil comes into the picture. Bing formulated with essential ingredients like Almond oil, Thyme, Jojoba, etc., these oils can promote the hair growth like nothing else. Hence, if you have a beard that isn’t growing to its full potential, the beard oil will do it for you. If you are very much determined about flaunting a bearded face, it is very important for you to be very religious about a few things like moisturising the skin and facial hair and supplying the right kind of nutrients. Right from the day you start off with a stubble, the beard fitness regime begins. 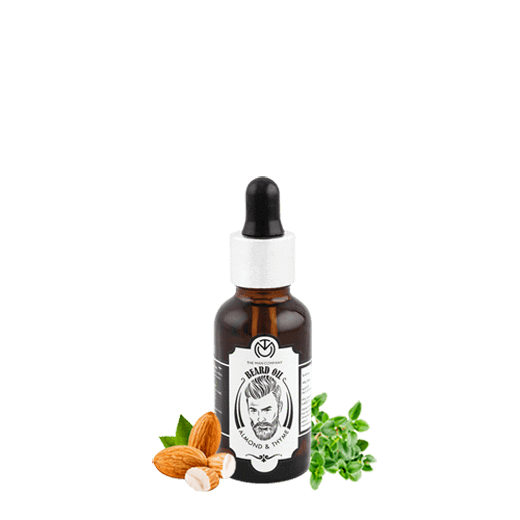 Beard oil is a must right since the first phase of growth as it necessarily softens the hair bristles and moisturises using the natural oils from the ingredients. This makes the beard more flexible than otherwise and also less prone to other things like scratching. ● If you are determined to grow the beard, you will have a lot of impediments at first. Patchy and uneven pattern, slow growth and above all, scratchiness. These are just the signs that your beard is still growing. Hence, on your part, you just need to let it grow. Do not be tempted to shave it off. ● Believe it or not, having an active and healthy lifestyle helps to get a great beard. It is always a great idea to exercise, not only because it keeps you physically fit, but also because it keeps the beard healthy by increasing the circulation of blood to the follicles and by increasing the testosterone level. Having short by intense bursts of workout helps the testosterone level to shoot upwards and not decline. ● Get good sleep. But by this, I don’t mean you should sleep at any time of the day. In fact, sleep is the most beneficial during the night and sleeping all throughout the day will make you unhealthy. What proper sleep does is that it promotes the level of testosterone in the body which increases beard growth. On the contrary, according to studies, if you sleep for less than five hours a day, your testosterone level can dip by 15 percent.